Goals are amazing things and help you become the best version of yourself that you always desired to be, on your path to self-love. They give direction, clarity, focus, and great pride once accomplished. But sometimes, in the pursuit of those goals, you can end up forgetting that both the goal and the journey to that goal are important in the grand scheme of getting to your desired end. Especially, when we’re talking fitness goals. Fitness goals are amazing. We all want to become a little healthier, a little more snatched, and feel a little more fierce and confident. 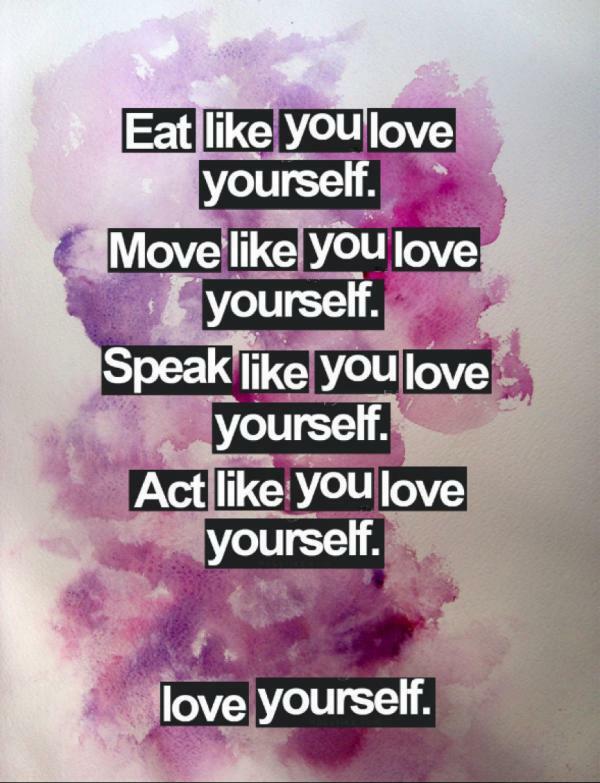 Self-love is so important even in the pursuit of fitness goals because your health is way more than just what you are eating or how often you are exercising. 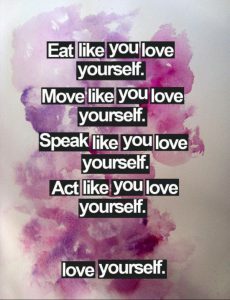 Self-love means showing kindness to yourself and loving WHO you are currently are while traveling to WHO you want to be and knowing you are already amazing before, during, and after the process. Here are a few tips to help you embrace that beautifully strong woman you are growing into. Fitness can mean different things to different people, so it’s important to establish what that looks like individually to you. Whether that means you go from being able to do 10 push-ups without stopping to 100, having more defined muscles, losing weight, becoming more active, eating more fruits and veggies, or a combination of all those things don’t allow anyone, (especially not yourself) to minimize what your individual priorities are. And don’t’ allow discouragement to take your focus off the gains you are making in your journey towards your fitness goals. Ultimately this is all about you operating at your highest and healthiest self so you can pursue your other goals. It’s so important that you track your milestones and achievements. We all fight that inner critic in our head that says this isn’t good enough, you didn’t do this hard enough, you could have done and similar messages of self-doubt, insecurity, or negative self-talk. 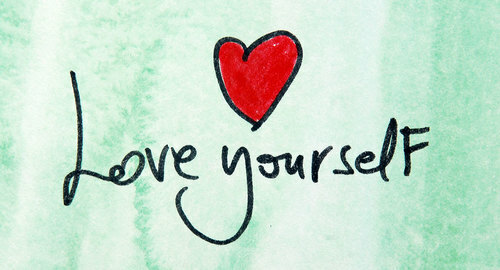 Let’s counter that with some good old-fashioned self-love. If you lost 5 pounds be proud of that, share your success with your supporters around you, and keep going. If you’ve been drinking more green smoothies, put a smile on, and try out some more recipes that fuel your body and that you enjoy. I challenge you to bask in what you’ve already accomplished for a little while and it will motivate you to keep going to your next goals. You’ll realize that it’s not how much further you have to go but look at all the great things you’ve already done and will do. When you look at from that perspective, fitness will be more about making choices that fit your lifestyle that promote health, and not realizing a false idea that doesn’t match the essence of who you are individually and you will be more likely to stick to it and be that much closer to the woman you want to be. Some days you are going to be able to relentlessly push through 2 a days and some days you are going to be able to barely make it through your workout. Some days you will meal prep like a boss and some days you will chow down on pizza, fries and all those other things that go straight to your hips and thighs. Lol. All those days are valid and don’t take away from you being #teamfit. In fact, they make you human and working on getting to your fittest form. So stay focused, stay encouraged, and most of all stay in love with your body and yourself because even if it’s not all you currently wish it to be, it’s still divine. And you’ll get there, in time.